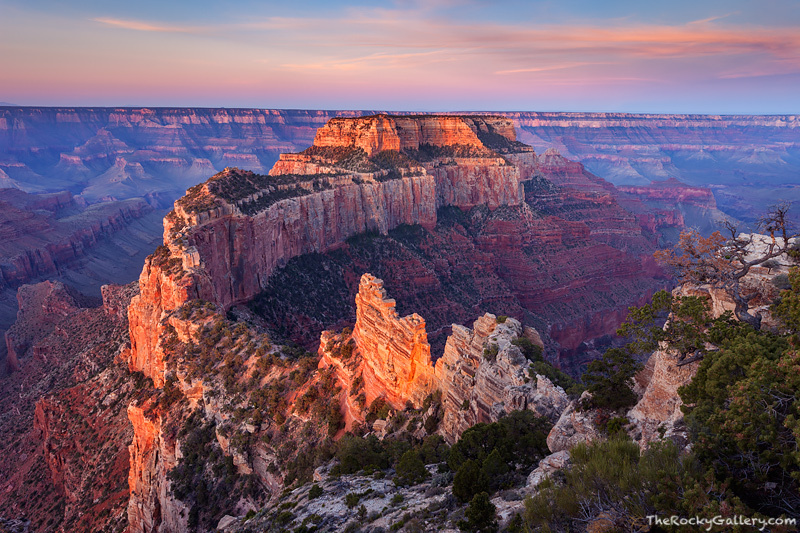 Cape Royal on the Grand Canyon's North Rim has some of the best viewpoints found anywhere along the Rim. Not only is the view of Wootons Throne awe inspiring from the Cape Royal, but it is the only viewpoint on the entire North Rim of the Grand Canyon in which one can see the Colorado River which helped form this National Park. Photo © copyright by Thomas Mangan.